So, you know you want to start shopping for Mitsubishi deals near Chalmette, LA. But do you really know what you’re looking for? When it comes to buying a car, there are a lot of tips you should keep in mind to better help you find the kind of vehicle you want. And when you are trying to find an amazing price for your next ride, it helps to get some advice. When you check out the tips and tricks below, you will learn about the steps you need to take to prepare yourself to find affordable deals in your area. Take a look. Before you do anything else, you have to think about your finances. After all, this is one of the most difficult aspects to consider when you’re searching for Mitsubishi deals. First of all, you’ll want to run a credit check. You need to know what your credit score looks like, so you can figure out whether you’ll qualify for financing or not. Then, you have to take a look at your bank account. You’ll want to make sure you have enough in your savings account to make a down payment and enough coming in every month to make your monthly payments. Once you do that, you’ll have a much better idea of how much you can really afford to spend on your next set of wheels. While you may want a brand-new car, if you truly want to find great Mitsubishi deals, you’ll look for used vehicles first. Why? Because used vehicles are more affordable than new ones. They may not have the latest in technological features, but sacrificing a new entertainment system may be worth the lower price you can get if you choose this option. Finally, you’ll have to think about what you need out of a vehicle. Are you just looking for something that can take you to work near Chalmette, LA? Or are you looking for a vehicle that can take you on road trips every other weekend? Do you have a large family you have to drive around, or is it just yourself? Think about what you need from a ride, and you’ll be able to pinpoint the deals that work most efficiently for you. Are you ready to start shopping? 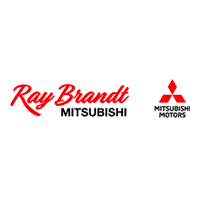 If you want to find the Mitsubishi deals you’ve got your eye on, you’ll want to pay a visit to Ray Brandt Mitsubishi.